There are three levels of loan approvals. The first is a prequalification where you call us, we take an application and pull your credit, run you through an automated system. Smart real estate agents understand that this type of letter is not worth the paper it’s written on. The second level is a preapproval. In this stage, the loan officer may get some supporting documentation from you like pay stubs, W-2s, tax returns and maybe even bank statements. The loan officer then reviews this documentation to offer a preapproval letter. The third level is the gold standard. We refer to this as becoming a Certified Homebuyer. An actual underwriter reviews the file to issue a rock-solid approval. They will perform several steps that could trip up and deal that a loan officer is not privy to. Much less stress during the contract period. The heavy lifting is completed upfront. Presenting this letter to the listing agent gives them the confidence to accept your offer over any prequalification or preapproval letter that they receive. They understand the difference. You can close in as little as 15 days, which may give you an advantage in the offer stage. If you have any credit score issues, we may be able to suggest ways to improve your score. If you are short on cash, we may be able to suggest some creative ways to get you to the goal line. As the lender, we would be able to call the listing agent as you are making the offer to explain the steps you took and the Certified Process to reinforce it. To supercharge your offer, this year we started offering a Seller Guarantee. 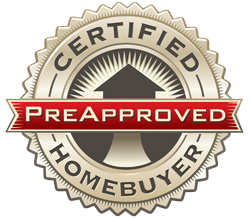 If you present the seller with our Certified Homebuyer Certificate and for some reason we cannot close the transaction, we will pay the Seller $5000. Now that is putting your money where your mouth is! Whose offer do you think the Seller will accept with that guarantee? Call us early in the process so you’re ready to roll.